Below are a very select group of stoic stalwarts – men with a minimum of 18 seasons between their first and last Maher Cup matches. Russell “Rusty’ Gorham of Barmedman – 7 June 1947 to 29 June 1968. 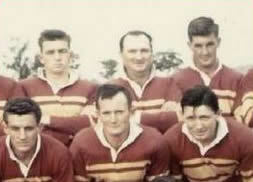 Col Quinlan top centre in the Barmedman team of 1961. Rusty Gorham and Col Quinlan were brothers-in-law. Rusty married Col’s sister Merle in 1949. Both played in the forward pack for the Maroon and Golds. The Barmedman pack of ‘wheat lumpers’ usually outweighed and outpowered their opposition. They also had most efficient hookers in Ken McDonald and Ron Kelly making the ‘Clydesdale’s’ a formidable side from the tiniest of towns. Col Quinlan was a farmer. His family lived in the homestead of the old Trungley Station, which had been subdivided for closer settlement. He started his footballing life as a centre, but moved to the second row, from where he was normally the leader of the pack and often team captain. By 1962 “Guts” as he was called, had notched up his 500th game for the Bland Boys. While he may have been old in football years, he died a young man – aged 39, in 1967, shortly after finishing his playing career. The Gorhams came to Barmedman from Boorowa before the war. Russell enlisted in the AIF, returning to farm wheat and sheep on “Clear View”. In 1949, aged 24 he married Merle Quinlan. Rusty was a big man with safe hands, good enough to represent Group 9 and Riverina. At 44 he was still playing along side his sons Dennis and Frank in the Barmedman team. He also become an administrator, coach and club patron. Sid Hall of Young – 24 June 1925 to 29 August 1945. Ron ‘Dookie’ Crowe of West Wyalong and later captain-coach of Barmedman – 5 May 1951 to 15 May 1971. Sid and Abe were just two of ten Hall brothers. Bob, Tom, Roy and Ben also played Maher Cup for Young. Abe who played almost as many Maher Cup games as Sid died tragically in a tank cleaning accident at Grenfell in 1950. A sporting oval at Young is named after the Hall Brothers. The last of the ten, David Hall, who played in one challenge for Bendick Murrell back in 1936, died in 2012. There is probably no-one as revered in Maher Cup football as Ron Crowe. In 1965 while still in his footballing prime the new rugby league ground at West Wyalong was named in his honour Ron and brother Les cut wood in the mallee country. My dad, a farmer, bought strainer posts from the Crowe brothers and used to point to them and say, they’re just like ‘Dookie’, just a bit bigger, and stronger and tougher than your regular posts. Ron Crowe was a most gentle man off the field. Ron Crowe, who played at least 65 Maher Cup matches, continued to lead packs of forwards way beyond the end of the Cup in 1971 – retiring aged 45 in 1978. It is widely believed that he starting playing Maher Cup football aged 16, but the earliest I can find him in a Cup team list is 1951, when he was 18. Baden Broad (1921-2007) of West Wyalong – 25 May 1938 to 13 July 1957. 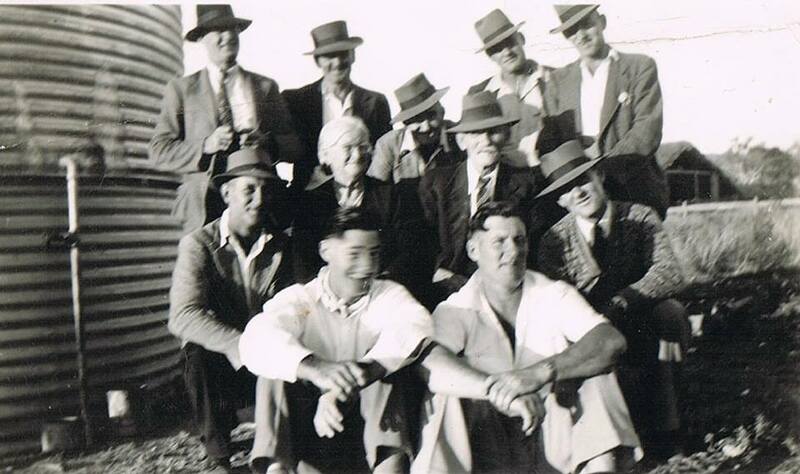 The Broad clan have been mainstays of West Wyalong football teams ever since rugby league started in the area, and probably before. 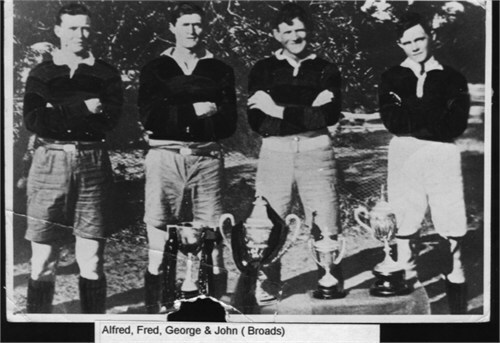 Baden’s dad Fred with three uncles, Jack, Alf and George formed the majority of the Wyalong forward pack in 1925, playing together in five successful Maher Cup challenges. Baden’s debut, aged almost 17, was in 1938 playing Maher Cup in the same team as his father. In a career spanning 23 years he played also for Henty, Mallee Plains, Parkes, Lake Cargelligo and the ‘Top town’ team the Rosellas. Baden’s sons Peter and Keith and nephew Bob Broad also excelled at rugby league, all turning out for Penrith. The Pinneys have been, and are still, one of Temora’s most prominent families. However Len was from Wyalong and just kept of being selected in some very good Mallee Men teams. In 1950 he was appointed as the team coach. Wally Tozer of Barmedman and Harden-Murrumburrah – 26 June 1935 – 5 April 1952. 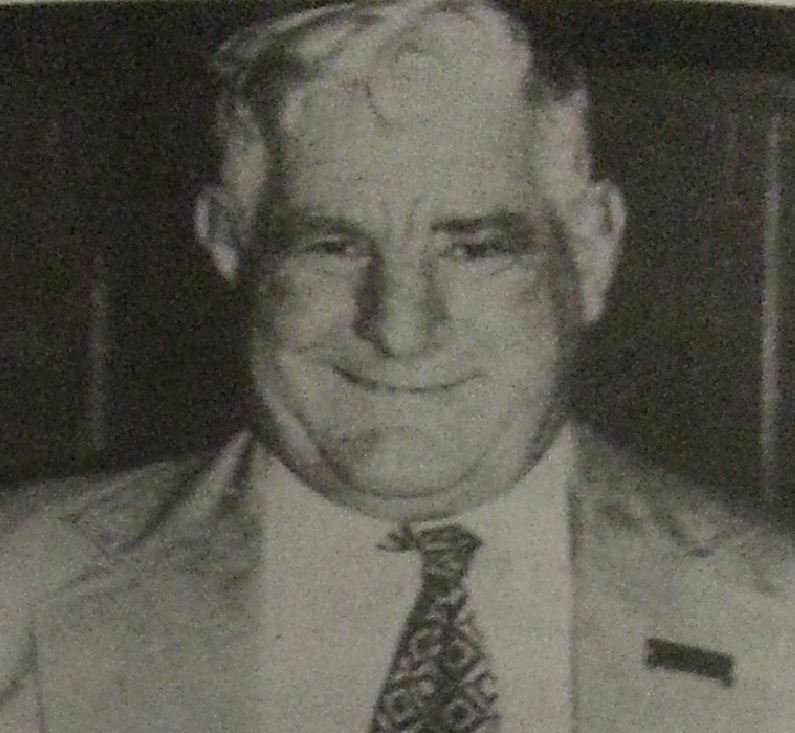 ‘Herbie’ Souden was the longest serving Maher Cup rake. He was a most garrulous man who spread his good humour throughout the town. My dad would call into Souden’s hardware and furniture store I think just to talk to, and be entertained by, Herbie – rather than to actually buy anything. Nick Cullen was made of sturdy stuff. According to Eric Kuhn, he was only one of two players to appear in every one of the amazing (and unrivalled) run of 29 Maher Cup victories posted by the Hyphenates between 1958 and 1960. He later coached the Harden team. 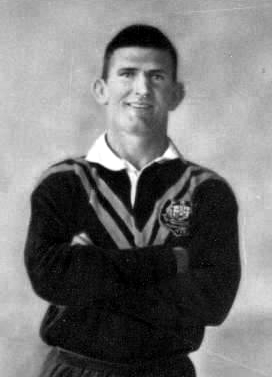 Upon his retirement in 1952 the Cootamundra Herald writer declared of Wally ‘Bull’ Tozer: “No other player in Group Nine has given such service to the Rugby League code than this versatile fellow…Wally was a class back, tough as nails, who played the game hard. The stockily built Tozer could play in any position and in the Harden-Murrumburrah representative teams has filled all roles. If you have a feeling that there are players who can surpass any of the above for longevity in Maher Cup matches I would love to hear from you. If you have more information about the players above, likewise – I am keen to build up some biographies. This entry was posted in People and tagged Abe Hall, Baden Broad, Barmedman, Col Quinlan, Geoff (Herb) Souden, Len Pinney, Nick Cullen, Ron Crowe, Russell Gorham, Sid Hall, Tom Kirk, Wally Tozer. Bookmark the permalink.